Is Grand Designs a curse? An impressive home converted from a Victorian Water tower has just had its asking price slashed by £2 million. The property featured on the Grand Designs TV show, but it seems that this wasn't enough to pull in the buyers. So what do you get for your money, and does the cut in the asking price have anything to do with the show? The property started life as a water tower, built in the Victorian era on the land formerly occupied by the Lambeth workhouse in south London. According to the programme, the property was sold to Leigh Osborne and his partner Graham Voce in 2011 for £380,000, and they spent £2 million renovating it. The result was a spectacular and dramatic building, over nine floors with its own lift. At the bottom a glass link leads into a glass cube - housing the kitchen and living area, and featuring the largest glass sliding doors in the UK. The view from the roof terrace at the top is spectacular - around all four sides of the tower. There are also four bedrooms, a gym, a dressing room, and a study. The couple were interviewed by the Sunday Times when they put the property on the market for £6.5 million. However, the Evening Standard reported today that they had knocked the price down to £4.75 million. On the one hand, this isn't terribly surprising in the current market. Houses are worth what someone will pay for them, and the couple were holding out for a buyer with eclectic tastes who was willing to pay a premium for something unique. The reduction means that the price is similar to the cost of more traditional properties of a similar size in a similar position. It looks like the couple has decided that in a relatively slow market they will have to wait too long for a buyer willing to pay a premium, so they want to broaden the appeal of the property. 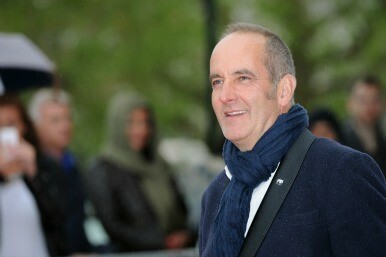 There's no suggestion that the Grand Designs programme itself is to blame for the price cut. After-all Kevin McCloud merely chronicles improvement projects rather than being involved in any way in the planning or building. This is a pragmatic decision made by a couple who want to move on. However, there are those who are pointing out that this isn't the first time that the owners of a home featured on the programme have since run into difficulties. In 2005 the programme featured an 18th century church in the West Midlands. However, the renovations took their toll, and six years later owner Dean Marks said his former wife never ended up moving into the home as they separated in 2007. He also suffered two heart attacks - which his daughter attributed to the work involved in the renovation. And he had to have operations to repair damage done to his shoulder through the heavy work. Then there was the barge which featured on the programme in 2007. It broke free from its mooring in 2011 and washed up on a beach. It wasn't lived in, as the couple had run out of money and abandoned plans to live in it. They had intended to return to the project, but while it was moored, vandals had broken in and done so much damage that it wasn't worth repairing. There's also the building known as The Curve in Brighton, which was beset by problems. Just after starting the project the owner had five heart attacks, and problems with the bank as the credit crunch hit. The house he was living in next door then caught fire. He persevered and moved into the spectacular home, but after suffering another heart attack he put the property on the market so he could take life a bit easier. They have the power to push a price higher, depending on how many other people are in the running for a home and how liberal they want to be with the truth to the buyers. In some cases, they can also do more harm than good by initially overvaluing a property. The worst case scenario is the home eventually sells for less than it would have done had it been priced realistically in the first place. Sometimes a quick-moving solicitor can be the difference between getting the home at the price you want and getting into a bidding war or missing out entirely. If the buyer needs a quick sale, they're more likely to do a deal with someone who has a flexible solicitor who can push through the sale so it suits them. Research by Halifax concluded that anti-social neighbours could take £31,000 off the price of an average home. If you’re selling, you should declare any problems you’ve had on a Seller’s Property Information Form, otherwise you could face a claim later on. While an increase in Council Tax might not be too much of a deterrent to a potential buyer, plans to grant permission for new homes, a mobile phone mast or wind turbines could knock an asking price down. If you're a buyer, the local council should have details of any future planning applications and you can search them for a small fee. A lot of traffic in an area obviously has an effect on air quality. Since 1997 each local authority in the UK has carried out studies of the air quality in its area. If an area falls below a national benchmark for air quality, it has to be declared an Air Quality Management Area (AQMA). Some residents of the Llandaff area of Cardiff expressed concern that it had become an AQMA due to an increase in traffic in the area. Whether this becomes a widespread issue remains to be seen. Mortgage availability is a key driver of property prices. If no-one can take out a mortgage, then prices will stall and eventually fall. We've seen this happen in parts of the UK in recent years, as lenders tightened up their criteria following the credit crunch. Conversely, good mortgage availability will mean more people are competing for properties - to a seller's advantage if their home is desirable. An outstanding local school can add around 8% to the value of a home, according to the Royal Institution of Chartered Surveyors. On the flipside, a not so good Ofsted report can take off a similar amount. If you’re concerned about a school’s performance, one way to get involved is to become a governor. Initiatives such as the Help To Buy scheme have been credited with pushing house prices up. A buoyant economy with strong employment gives people the confidence to buy and leads to an upward shift in house prices, while rises in unemployment have the reverse effect. Planning restrictions, at both a national and local government level, affect the number of homes in a particular area. Of course, when a series has been running for this long there are bound to be owners who have setbacks in life. There would be those who argue that this is just a matter of probability, and that the vast majority of people featured on the programme are still enjoying a wonderful quality of life in their dream homes. However, this sort of logic won't do much to silence the muttering of those who are forming conspiracy theories about the 'curse' of Grand Designs. The top ten DIY projects: are they worth it? Of course with all these things, the value it adds depends on the property you have to start with, and the kinds of improvements you make, but Which? estimates the cost of a new kitchen at £8,000 and HSBC calculates the added value to your property at £4,500 - which is a clear loss. This has been done by 41% of people in the last three years, and 29% of people plan it in the next three. It's cheaper than a kitchen, and Which? estimates the cost at £3,000. This is roughly the same value that HSBC says it will add to your property - so you'll break-even. This has been installed by 31% of us in the last three years, and 15% plan it in the next three. Installing central heating is a disruptive job, and according to WhatPrice it will cost you around £3,235. However, this is the first of the top ten to actually pay off. Property expert Phil Spencer says it will add £5,000 to the value. Some 18% have added one in the last three years, and 30% will in the next three. This is another huge job, but with more people struggling to move and deciding to improve instead, it's increasingly popular. The amount it costs will depend on an enormous number of things, from the area you have to work with, to the size of the extension. However, assuming you add a single room you could spend around £20,000. HSBC estimates it will add around £15,500 to the value of the property, so you are unlikely to gain as much as you spend. 17% have done one of these in the last three years, and 20% will in the next three. This doesn't have to cost more than a couple of hundred pounds, but according to a survey from Halifax a few years ago it costs an average of £850 and adds almost £1,500 to the value. This is the second financial sound project in the list. 11% of us have knocked rooms through in the last three years and 8% will in the next three. If you're creating more usable space, then buyers won't mind you are reducing the number of rooms. If it's a supporting wall you can end up spending around £1,500, whereas a non-load-bearing wall should be doable in a day with a laborour and a plasterer for a couple of hundred pounds. It's unlikely to specifically add value though. 8% have put them in over the last three years, and 8% plan to in the next three. A solar panel costs about £6,500. It's definitely not going to add value to your property. However, it can pay off. With a feed-in-tariff you can save yourself £600 a year in heating, and can sell up to £450 back to the grid. The lifespan of the panel should be 20 years, so you'll break even after six and a half years and start making money. It's the third wise financial move here. 6% have done this in the last three years and 11% plan to in the next three. According to HSBC it adds the most value - at an average of £16,000. However, at a cost of £20,000 or more, it won't make you money. 4% of people have added one in the last three years and 7% plan to in the next three. As with a similar extension, you're likely to spend £20,000 and add £15,000 of value. So it only makes sense if your family is too big for the house. 2% have converted the cellar in the last three years, and 4% plan to in the next three. This is not a great way to see a return on your money - unless you live in the kind of area where you are absolutely out of any other options when it comes to making more space. It's not cheap - starting at £10,000 for simple waterproofing and finishing, to £50,000 for more intensive work. It will typically add £20,000 to the property.